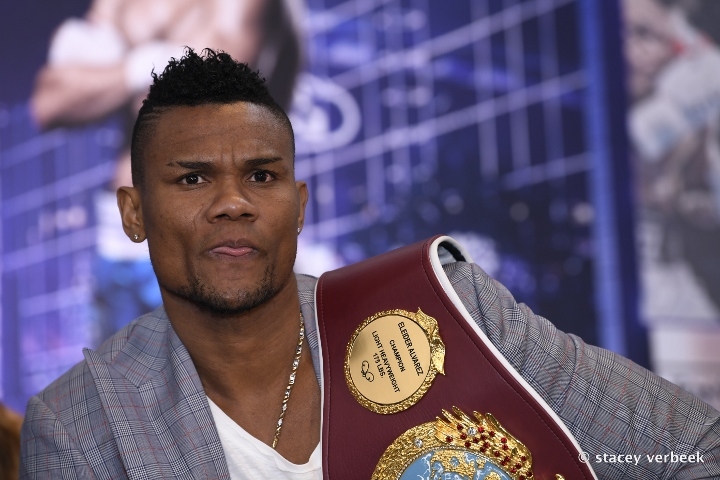 Former WBO light heavyweight champion Eleider Alvarez may return to the ring on June 15 in Las Vegas, but no contract has been formally signed, according to his lead promoter Yvon Michel. Michel told Canadian outlet RDS that Alvarez has not signed anything to face Hart on the Tyson Fury vs. Tom Schwarz undercard at the MGM Grand in Las Vegas. Hart (25-2, 21 KOs) informed several outlets that a deal was reached to fight Alvarez (24-1, 12 KOs) on the June date. Alvarez was expected to compete on June 28 in Quebec City, but the Philadelphia boxer was not receptive to doing the fight in Quebec. Alvarez and his team then agreed to fight in the United States, but Michel indicates that his side had yet to receive a finalized contract, and have not signed a formal agreement to take on Hart. Hart is one of the three opponents that Alvarez accepted for his return - so the fight is certainly possible. In an interview with BoxingScene in mid-March, Hart said he would agree to face Alvarez in Quebec only if the purse was attractive, because he would be at a disadvantage given that the contest would take place at light heavyweight. Alvarez has not fought since losing a unanimous decision over twelve rounds in his rematch with Sergey Kovalev in February in Frisco, Texas. It was a rematch of their August clash, which saw Alvarez knock Kovalev out in seven rounds. While Hart has been inactive since losing by way of majority decision against WBO super middleweight champion Gilberto "Zurdo" Ramirez last December in Corpus Christi, also in Texas. Alvarez has a multi-fight co-promotional deal with Top Rank. who also guide the career of Hart. good matchup. Jesse Hart will look big at 175. [QUOTE=Boxing1013;19661482]Good post. If Alvarez can come back strong a 3rd Kov fight would be good, regardless of what Kov does in his next few. [/QUOTE]kovalev dominated the rematch. he shut out alavrez. no point in having a third fight.